Omg...those pants.. I die!!! How about a more affordable alternative to those?! That is the perfect tee! I wonder if there are any style stealers looming around? Would love that for warmer weather to wear with sequin shorts and fun heels. Very cute tee. I wonder about washing it. I guess dry-clean only? I agree! 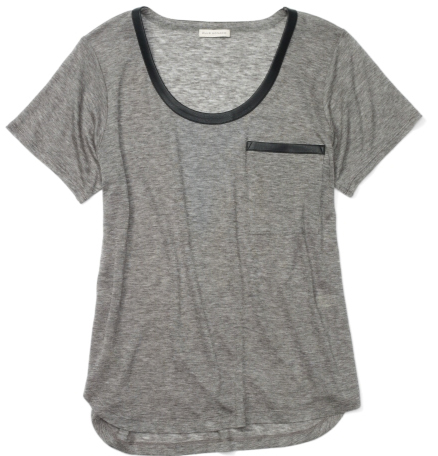 This shirts is not only completely stylish and cool- it looks like it is cut to perfection! Yes, dry clean only--but very cute!